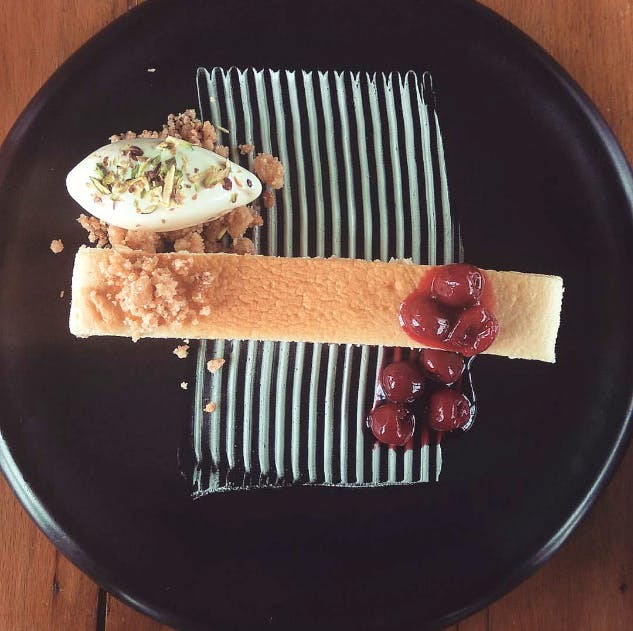 Art on a plate and treat to the palette — that’s how I would describe the absolutely delightful Japanese Cheesecake from the dessert section of The Fatty Bao. A long slab of baked cheesecake is served with cherry compote and a vanilla gelato that’s sprinkled with crushed nuts. The plating is what instantly attracts you to this dessert followed by its light flavour from the first bite. A perfect dessert to end your lunch. Maybe a little more of that cherry compote could be given on the side. I love compotes and cherry is a favourite. Make sure you Instagram this as with the perfect lighting you’ll get a dessert that instantly adds a zing to your feed. Plus a lot of likes! The desserts at The Fatty Bao are plated beautifully and that’s one more thing that I love about the place. Do try the Halo Halo dessert if the cheesecake isn’t available. You can thank me later.